Select your favourite pictures on your phone as a Smartwatch Photo Album Watch Face. 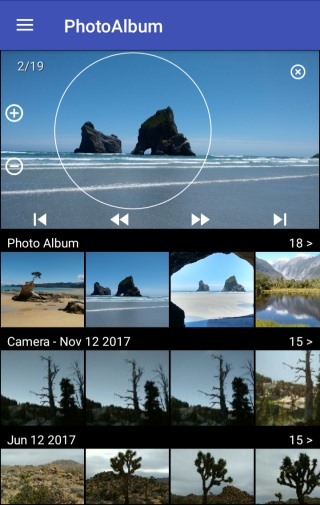 The watch will automatically cycle through the pictures in your Photo Album or you can tap left/right to see the next picture. On your watch: tap the "..." button and then the Download button to download new pictures from your phone. 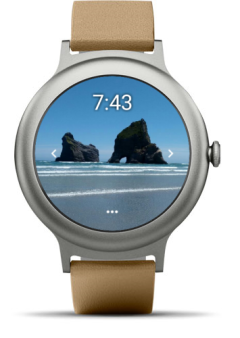 The Photo Album Watch Face can be used without connection to your phone. But you need the phone app "Photo Album Watch Face" to download new pictures to your watch. The app provides two Photo Album Watchfaces for Android Wear (one with digital clock and one with analog clock). Using the Photo Album Watchface Complications you can also design your own Android Wear Watchface. You can get the Photo Album Watch Face also as a Fitbit Clockface or a Fitbit App . Please be patient when you tap the Download button on your Fitbit watch, the Fitbit connectivity is slow and unreliable . The Fitbit "Sync" step, shown in the video, is very important. Don't skip it and make sure that the watch app "Photo Album Watch Face" is closed during the Sync.